Welcome to another illustrious installment of Halloween Porch Decorating. If you're just tuning in, you can find Part 1 right here! 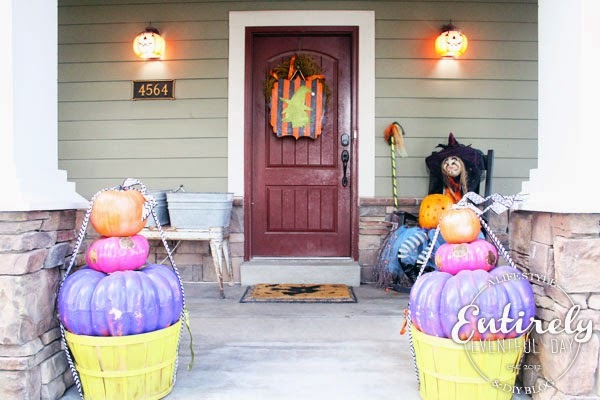 Now just sit back and enjoy this adorable Halloween porch. I don't even know where to start because there are so many cute things about this porch. 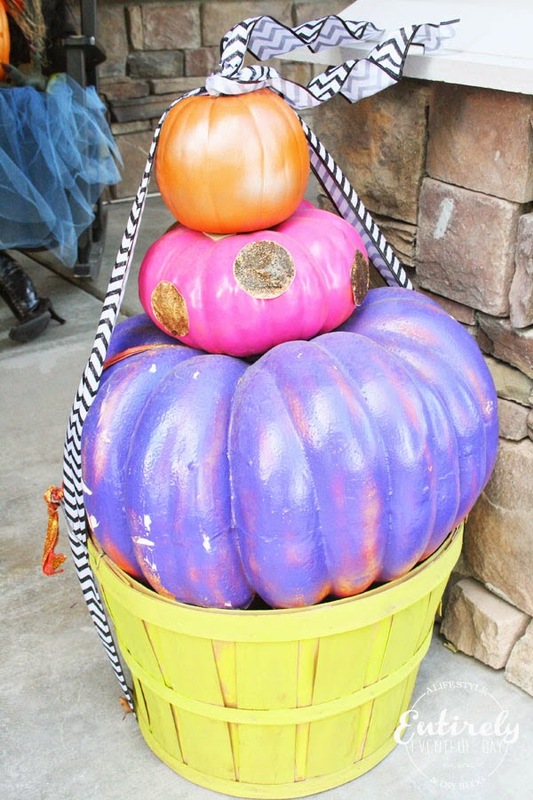 First, let's talk about the adorable colorful pumpkin stack. 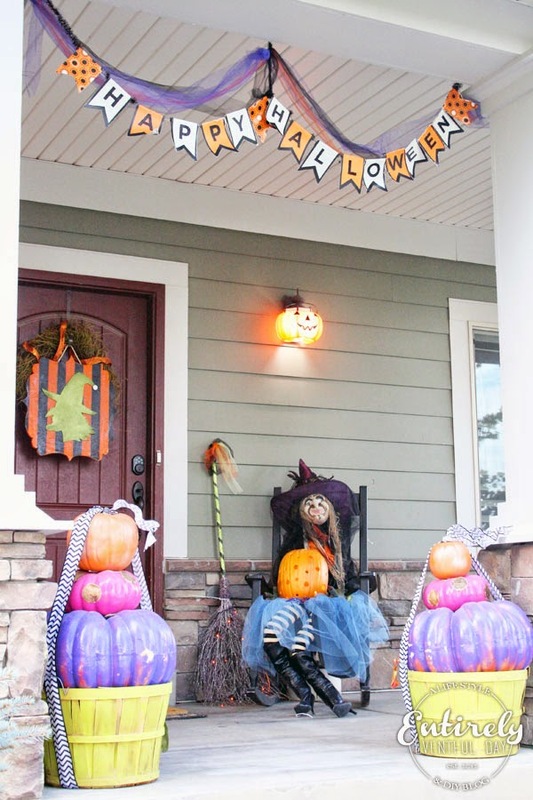 My friend, Tami, has really out done herself (PS thanks for letting me blog about your porch Tam!). 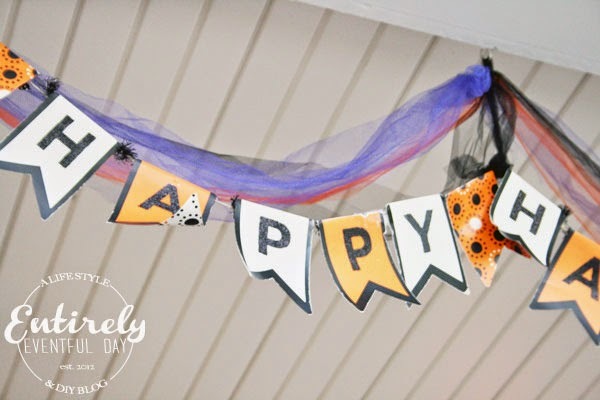 I love that she can use these year after year and that she doesn't have to worry about stinky, mushy pumpkins by Halloween. Is it just me or are you guys getting a Mad Hatter vibe? And the witch, I mean, come on. My children are just beyond disappointed in the fact that we don't have our very own Halloween witch (sorry kids). Lame mom. Tami knows that it's all about the detail. 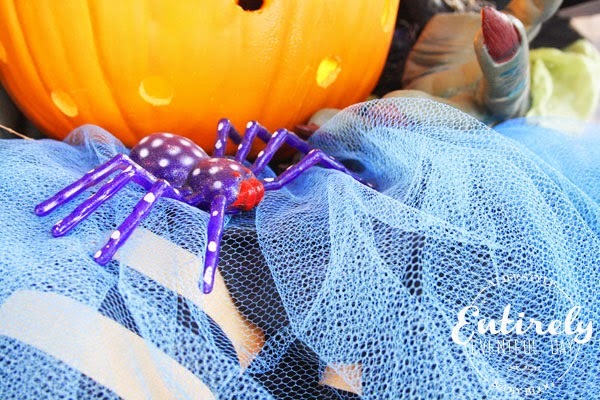 Please take a moment to notice the tulle and spider. I really wish she would stop making me look bad. 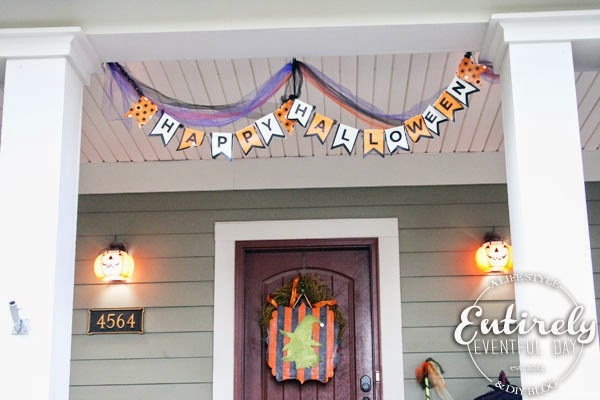 Just like in our last Halloween porch post, a little banner is just what the witch doctor ordered. Oh, don't act like you don't like witty Halloween puns! 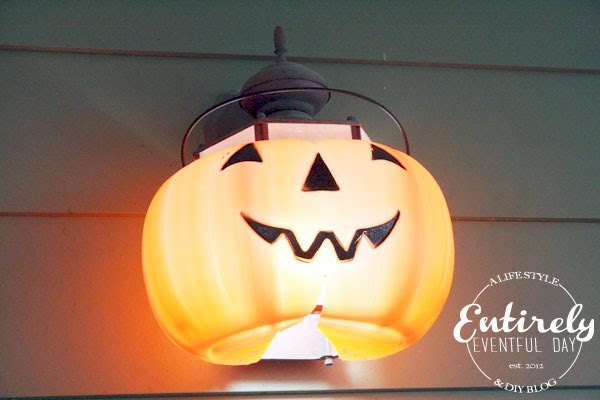 Now can we seriously talk about these DIY Jack-O-Lantern lights? I don't know whose 'bright idea' this was but I would like to kiss them (not on the mouth... I don't kiss strangers on the mouth). Oh and, I really love the tulle and sparkly pompom accents. Yes please. 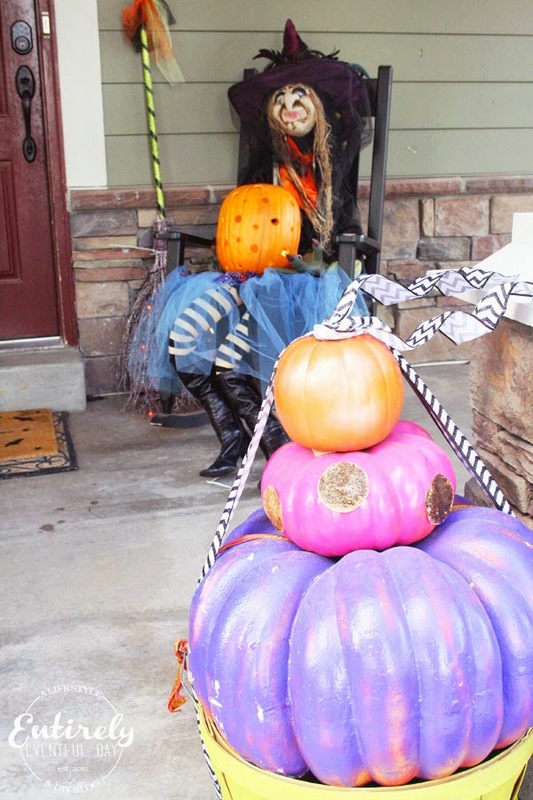 Stay tuned for more ridiculously awesome Halloween porches, coming your way soon!